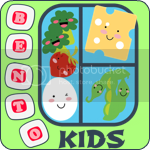 Bento for Kidlet: Snow Day Giveaway! Now, what is being given away you might ask? Well, my super buddies over at CSN Stores have given me a $55 gift card to their site to give away to one of you! CSN has over 200 stores so I am certain you won't have any trouble spending it! 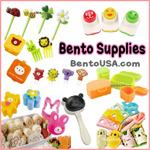 They even have some bento gear now! 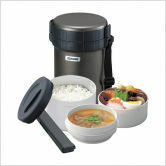 This Zojirushi - Classic Stainless Lunch Jar is just $49.95 plus free shipping right now! 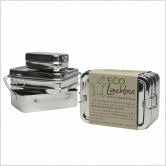 A three piece Eco Lunchbox set is only $16.60! 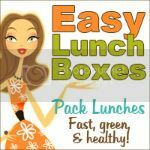 I've heard great things about these boxes! 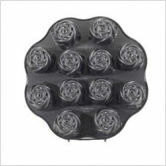 A Nordicware Platinum Sweetheart Rose Muffin Pan would make great little muffins and cakes for bento lucnhes! I could go on all day! There is a lot to choose from, but I will let you have fun and check out all CSN has to offer for yourself! On to the giveaway! *Giveaway Rules* - You must complete the mandatory entry before any of the optional entries. Optional entries are just that, optional. Please do not feel obligated to complete them :) If your email is not visible on your Blogger profile, please be sure to leave it in the comments! Tell me what you might buy with your $55 gift code! The winner will be selected on 1/31 via random.org and will have 48 hours to respond to my email. Thanks! There are a few items that I would love like a new handbag of the set of two bakers from All-Clad or a new pair of comfortable shoes like the Naturalizer - 31215001 - Karelia in Black Leather. I would get some new pie pans and new bread pans! I'm thinking a fondue pot or some bento supplies for my DD! I would get paula deen cookware. i would love to get some cute bakeware... it is a weakness! especially this adorable car pan! i'm followin your blog also! I would get my daughter a step 2 waterwheel table! I could use some new cloth napkins! Thanks for the giveaway! I really love their Cuisipro cookie cutters! 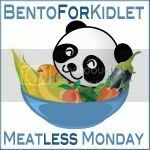 We haven't started bento yet so this would be a perfect opportunity, I could buy some boxes for my boys! i would buy the chilewich table runner on csn! Oh and I follow you on twitter as 'stellaandthomas'...mama wants a bento!!! I'd love to buy something from the Rachel Ray cookware items! I'd love to have a deep dish Le Creuset casserole. I think I would buy a new blender! Thanks for the giveaway! I'd love to get some new Dwell Studio sheets! I just subscribed with google reader.